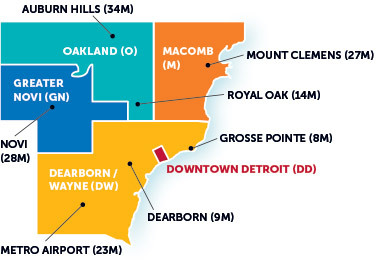 If you’re looking for a map to get you around downtown Detroit’s central business district, download our map and you’ll become a Detroit navigator in no time. 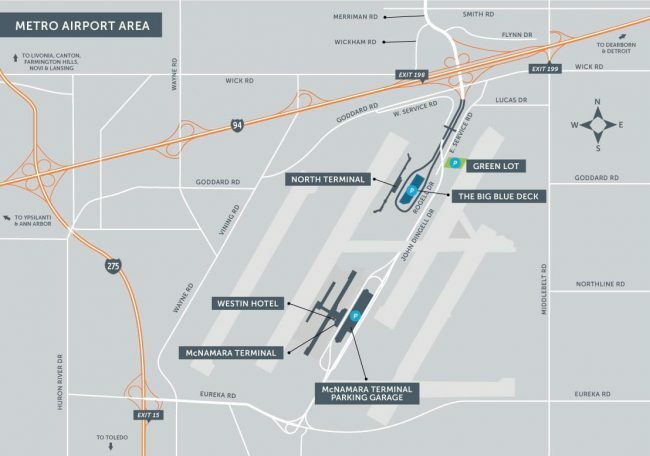 Detroit Metro Airport has two main terminals, McNamara and North. Extra-wide moving walkways, shuttles between terminals, two indoor, 200-passenger trams that transport guests within the McNamara Terminal and an on-site luxury Westin hotel round out the airport’s many services.